Comsys Infotech is the Online Search Engine Optimization Service Provider that offers Website Promotional Activities that not only accent the prospects of your business but boosts profits too. Our SEO experts help companies to severely develop website rankings and to maximize top positioning in popular search Engines and return on investment (ROI).We focus is to drive massive and highly targeted visitor traffic to your online business and to convert those traffic into actual conversion. Search Engine Marketing is a process of getting your website to the top of the search engines is known as search engine optimization (SEO). 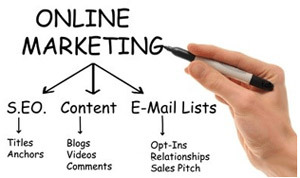 SEO has proven to be one of the most cost-effective forms of marketing available. Marketing through advertising in Google.